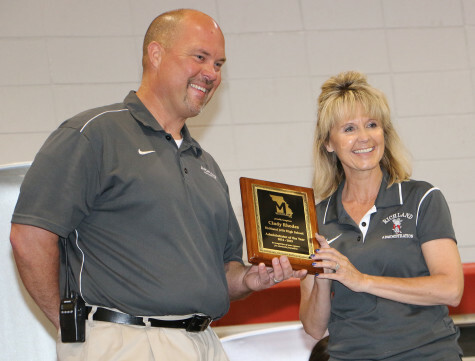 2015 MJEA Administrator of the Year – Missouri JEA. Cindy Rhodes, from Richland R-1 Schools has been selected as the Missouri Journalism Education Association Administrator of the Year. Rhodes has served as Richland’s principal for three years, but has been an educator for over 20 years. Her supervisor, Superintendent Frank Killian said Rhodes has the ability to see what students need to be successful and work to put the best programs and people in place to make that happen. She is an avid supporter of the journalism program and has worked to find the funding needed to send students to workshops and purchase the equipment they need.